Redwood Mortgage Company offers specialized commercial loans for investors owning multi-unit homes (5 or more units), commercial office buildings, mobile home parks, manufacturing buildings or medical office buildings. 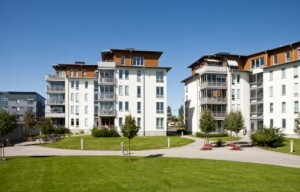 The current property types that are being considered for construction and permanent financing today are Multi-Family Housing, Retail Strip Centers, Class A & B Medical Office Buildings, Mixed Use Properties, Self Storage, Industrial Buildings, Nursing Homes, Residential Track Housing Development and Duplex Condominiums. Current Rate Structure offerings include floating and fixed rates quoted on a deal-by-deal and asset type basis with terms on five, seven and ten year fixed rate ARMS. Redwood will also quote Fifteen Year Self Liquidating Mortgages.